MuscularTeeth is an artist in such a wide range of styles that its hard to (until now) have one website for it all. MuscularTeeth’s Bubblesite – the largest and most comprehensive range of his artwork. MuscularTeeth and his electronic music – chilled and relaxed beats, often with a range of real world instruments thrown in for good measure. Most are free to listen to and download. 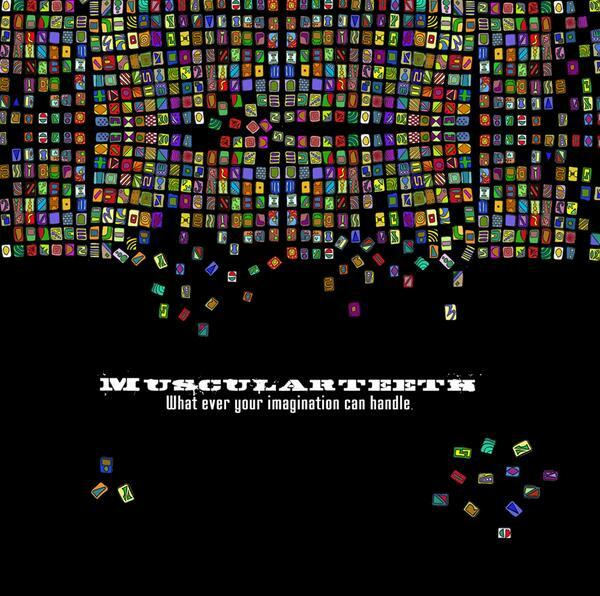 Art cover to MuscularTeeth's first album: "what ever your imagination can handle"
MuscularTeeth and his music videos as well as comprehensive list of favorited music from all over the world. MuscularTeeth’s facebook page – where the most updates occur. Usually this site will give you information about the other sites. Come on over and say hello. MuscularTeeth is always happy to chat. MuscularTeeth and his zazzle collection – more tshirts, but also mugs n mousemats, hats, shoes and other random stuff with mteeth’s artwork. MuscularTeeth & Tania Rose – MuscularRose. Electronica / downbeat / dubstep with divine vocals.